Excellent technical performance, combined with the highest quality standards are our main objective. 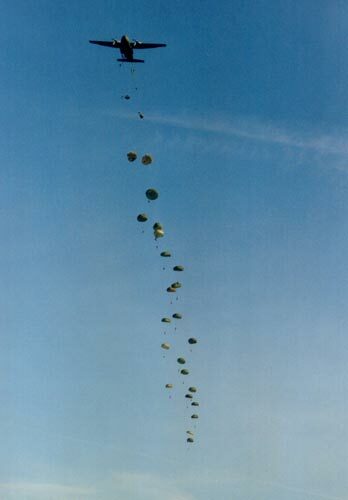 Brüggemann specializes in the design, development, production and servicing of troop parachutes and transport systems to cover the full range of user applications. We produce the T10 and MC1-1 series troop parachutes - in use daily throughout the world - at the highest quality levels, including all required associated equipment and, of course, the standard T10R reserve parachute. 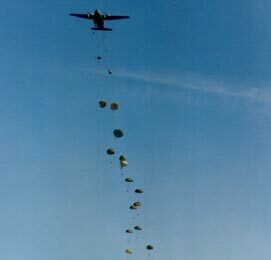 The Brüggemann troop parachute series 35T steerable and non-steerable stands for excellent newest technical advancement with a reduced sink rate, almost eliminated oscillation, an increased capacity of up to 170kg and a very low minimum deployment altitude of 120m. 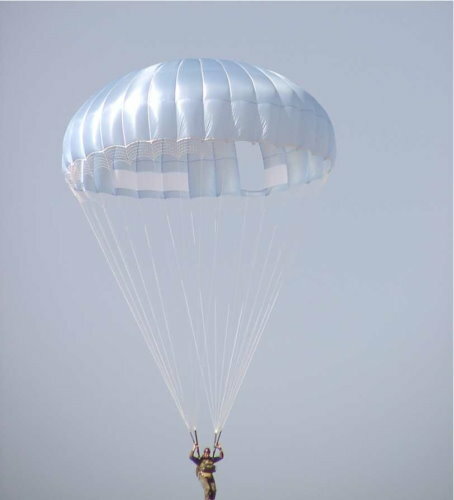 The appropriate reserve parachute 35T-R comes with the equivalent performance parameters, equipped with a center single release, with DAD (Deployment Assisted Device), prepared for AAD (CYPRES Automatic Activation Device) and it is rotatable. Specialized professional production planning and consistent implementation enables Brüggemann to offer products at competitive prices, worldwide. Flexibility and know-how ensure that our customers receive exactly the products corresponding to their individual needs.